We're having a Christmas promotion! It's just two weeks'til Christmas and we wanted to spread joy to you all. What better way to do that than a promo. 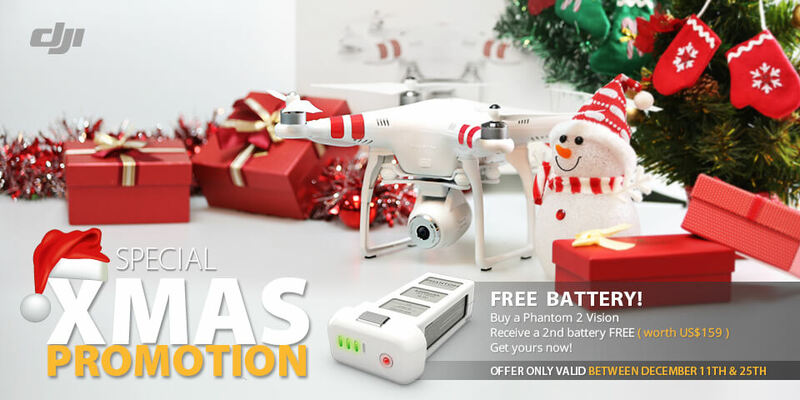 Buy a Phantom 2 Vision, receive a 2nd battery free (worth US$159). Please click here to get yours now.